This week I started a PhD at Manchester Metropolitan University’s Manchester Centre for Regional History. The subject? Angel Meadow. I’ll be studying the origins and persistence of the slum, and trying to find out more about the people who lived there. I’ll use this blog to publicise some of my findings as I go along. The book is now a key text for students on the Manchester and the City course at MMU and is on sale at Blackwells bookshop on Oxford Road. I have a couple of talks planned as well in the next few months. I’ll be at the Chorlton Book Festival in November and at Manchester Central Library early next year. Please keep following this blog for the latest updates. It’s been a quiet few months for the book after the hectic round of talks and other events last year – a time to pause and take stock. The paperback edition is still flying on Amazon and has had 45 five-star reviews so far. 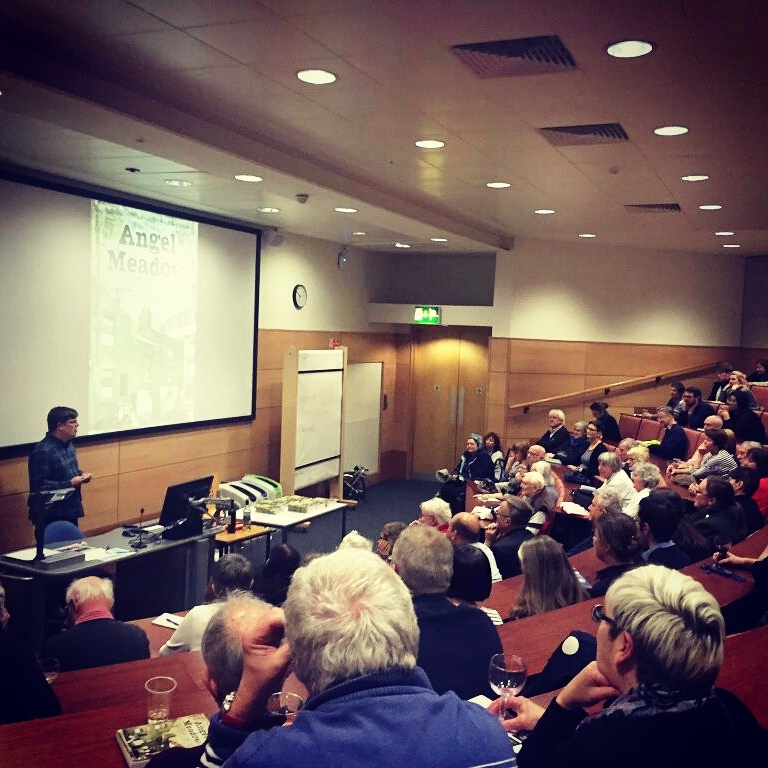 I’ve been amazed at how well received it has been and can’t thank enough all the people who have bought the book and turned up to hear me talk about Angel Meadow. Until last year, I’d never done a talk on any subject before. It’s been a rollercoaster ride, but a great experience and I’ve met some fantastic people along the way. I can’t say too much now, but I’m hoping to have some exciting news to share soon about a book-related project I could be working on later this year. 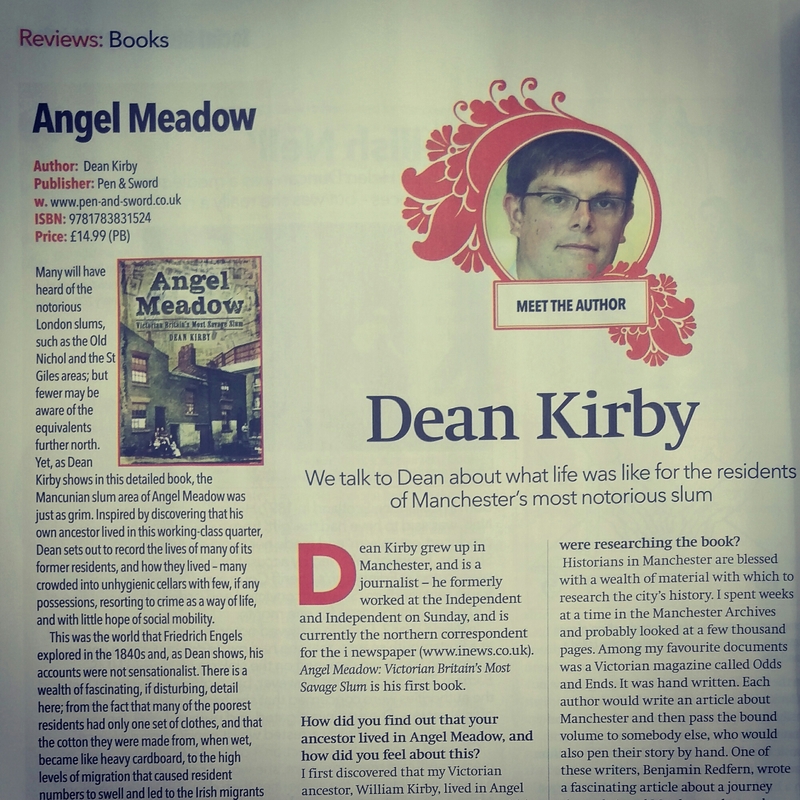 In the meantime, I’m looking forward to giving a talk about Angel Meadow at the Working Class Movement Library in Salford on June 21. I spent some time at the WCML while doing some research on Friedrich Engels for the book and it is easily one of my favourite libraries. The talk will be part of the library’s Invisible Histories series. It will start at 2pm and is free. Click here for more details. 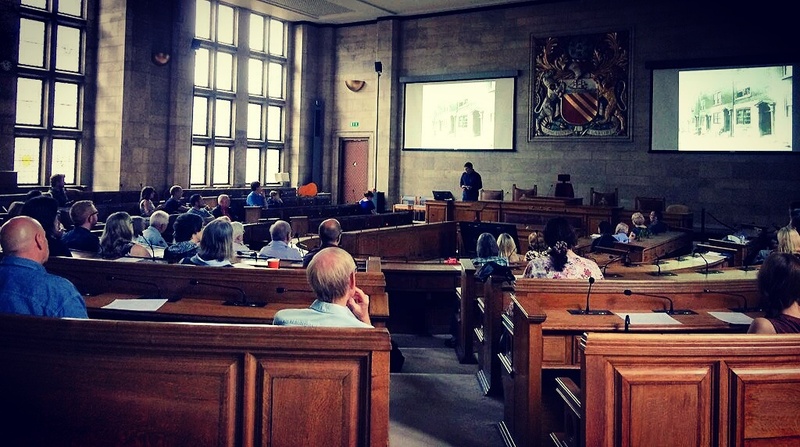 Enjoyed giving a guest lecture tonight at the Manchester Metropolitan University for friends of the Manchester Centre for Regional History. 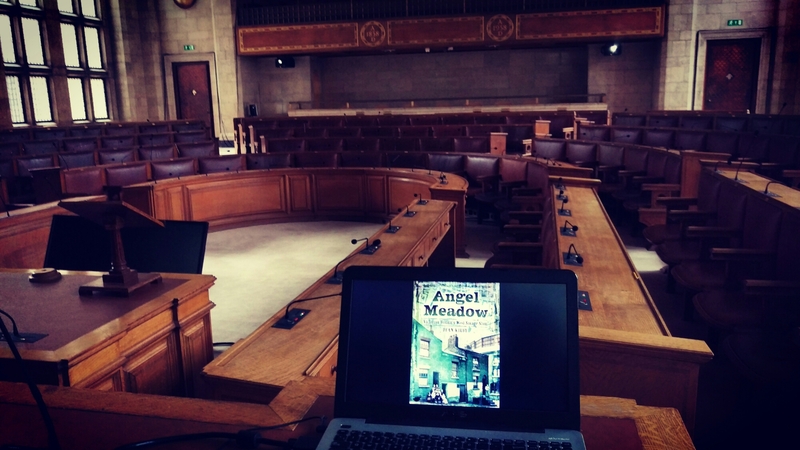 Biggest turnout yet for one of my Angel Meadow events. A huge audience and a fair bit of wine was imbibed as well. Thanks to everyone who came along. 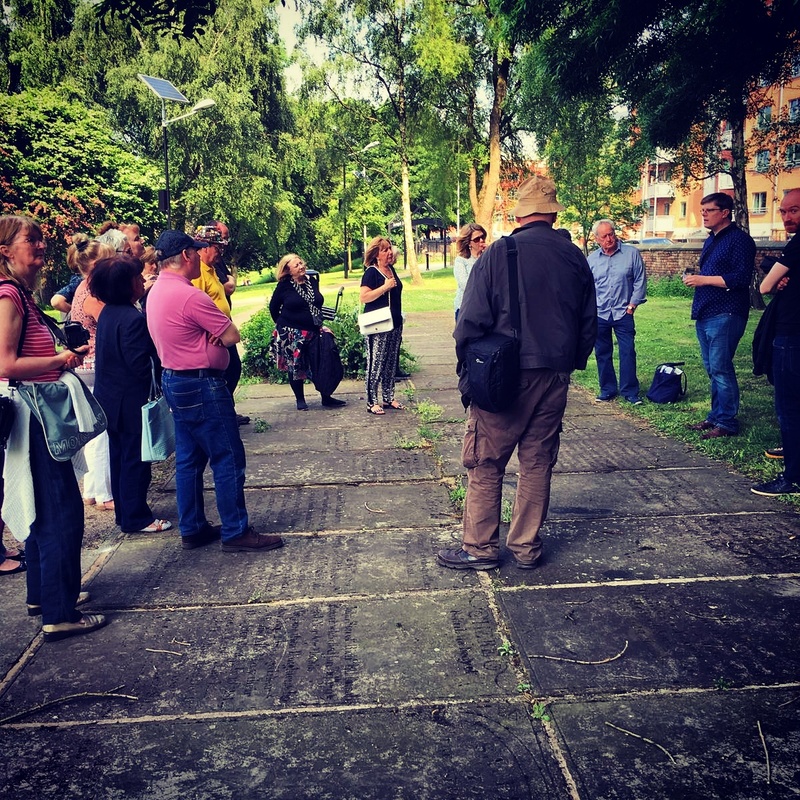 Weavers from Manchester’s Angel Meadow slum were among the thousands of protesters who marched to St Peter’s Fields on 16 August, 1819, only to be cut down during the Peterloo Massacre. 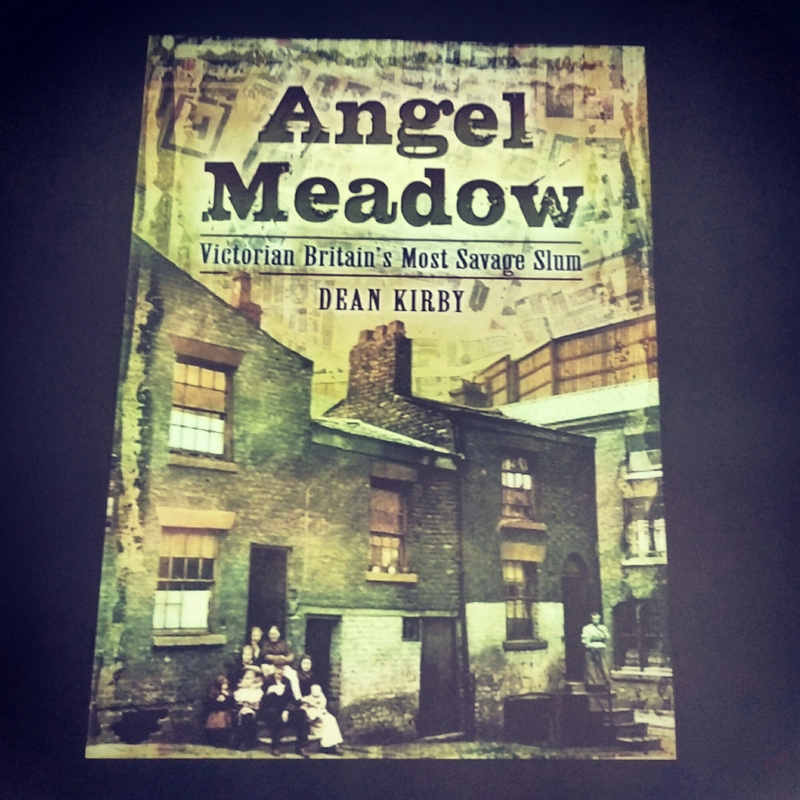 Here’s an extract from my book, Angel Meadow: Victorian Britain’s Most Savage Slum, which tells the story of some of the Mancunians who survived one of the darkest days in Manchester’s history. It is based on records from the time including newspaper reports, eye-witness accounts and casualty lists. 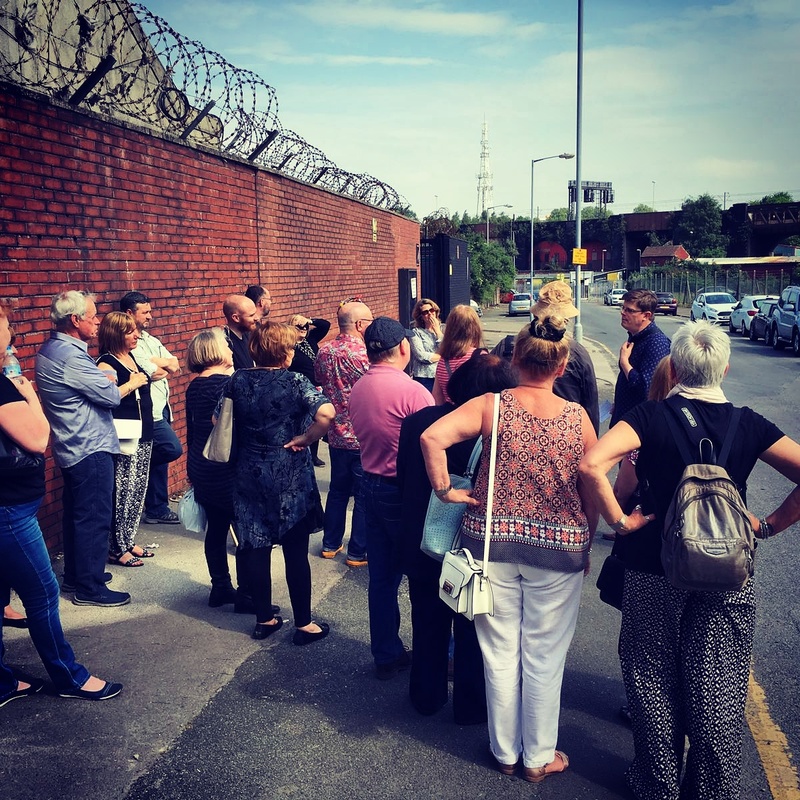 Seventeen Angel Meadow slum dwellers ended up on the list of casualties on that fateful day, 16 August 1819, along with eight from neighbouring New Town, which was dominated by immigrant Irish weavers. The sky was bright, sunny and cloudless on the morning of the Peterloo Massacre. Across town at Hulme Barracks, the yeomen under the command of Colonel L’Estrange sharpened their sabres and received a new magazine of musket balls. By sunrise, thousands of men, women and children began marching towards Manchester from towns across the region. A party of 6,000 men and women led by the radical poet and orator Samuel Bamford was heading to Manchester along St George’s Road. As they neared town, orders arrived from Hunt to meet him at Smedley and to follow the low road to Manchester through New Town and Angel Meadow. The marchers gave a cry of ‘New Town, New Town’ as Bamford gave an order of ‘left shoulders forward’ and wheeled them down the hill. Up to 80,000 men, women and children were packed so closely together in St Peter’s Field that it was said their hats seemed to touch. Many were wearing their best clothes. Hunt was on the hustings when some yeomen pushed into the field to try to arrest him. They became stuck in the tightly-packed crowd and began to hack about them with their sabres. Their horses reared and plunged as people tried to get out of the way. It was said the soldiers lost ‘all command of temper’ as they began to set about destroying the protest banners and flags. Hussars then formed their horses into a line to the east and charged into the crowd. Other yeomen charged from the south, cutting at everyone they could reach. Constables and soldiers armed with truncheons and bayonets stopped people escaping. At least 15 people died and up to 700 were injured. They were trampled by charging horses, slashed with sabres, bayoneted, clubbed with musket butts, shot and hit with truncheons. Injured weavers from Angel Meadow who had followed Hunt’s carriage limped home bloodied and badly bruised. They included a tailor named Peter Wood, of Blackley Street, who was trampled by the cavalry and received a sabre cut to his right elbow. Wood, 32, was an old artillery man who had been disabled serving his country in the Napoleonic Wars. Mary McKenna, 14, from Nicholas Street, and Owen McCabe, 62, from Old Mount Street, were two of the youngest and oldest injured. McKenna, described in casualty lists as an ‘interesting girl’, spent a month in hospital with a head injury after she was trampled by a horse. McCabe spent the rest of his life on crutches after his ribs were crushed and his hip smashed in the cavalry charge. Eight of the injured were neighbours in the four streets that formed the heart of New Town. James McConnell, 50, from Portland Street, was unable to dress himself for a month after his groin was crushed when special constables threw him into a cellar. For ten weeks following the massacre, he was only able to earn 10 shillings in wages. Charles Harper, 20, of Dixon Street, was shot, sabred and hit with a truncheon. Three neighbours in Dimity Street were also hurt including Patrick Reynolds, 24, whose legs were burned when he was driven into a lime pit by the cavalry. Riots broke out that night in New Cross, an open area marked by an old market cross a five minute walk from the centre of Angel Meadow. A mob began attacking anyone they feared was on the authorities’ side. The windows of a provision shop owned by a man named Fletcher were smashed and hussars rode to the scene and opened fire – shooting dead two women and a teenager named Joshua Whitworth. A mob of 1,000 people gathered outside the home of a special constable named Robert Campbell in Miller Street as dawn broke the next day. They believed he had killed a child at Peterloo. “The villain,” they shouted, “Kill him!” Campbell fired a pistol from an upstairs window – giving him just enough time to slip out of the house and run up Miller Street with the mob in hot pursuit. Campbell was a strong man and somehow found an unnatural strength to rip a door from its hinges, which he used it protect his back from a volley of stones. But the mob dragged him out into the middle of the street and swarmed around him. When the kicking started, he must have known he was a dead man. 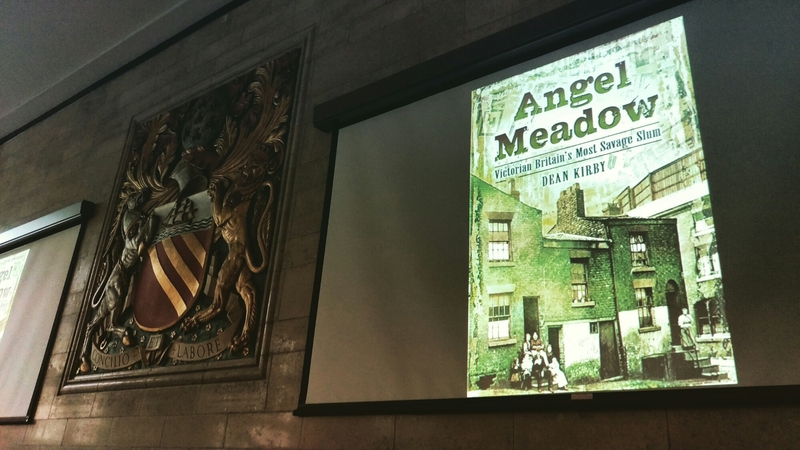 Spent a good afternoon today doing a talk about Angel Meadow and family history at Manchester Central Library for around 80 members of the Manchester and Lancashire Family History Society. Thanks to everyone who came along. 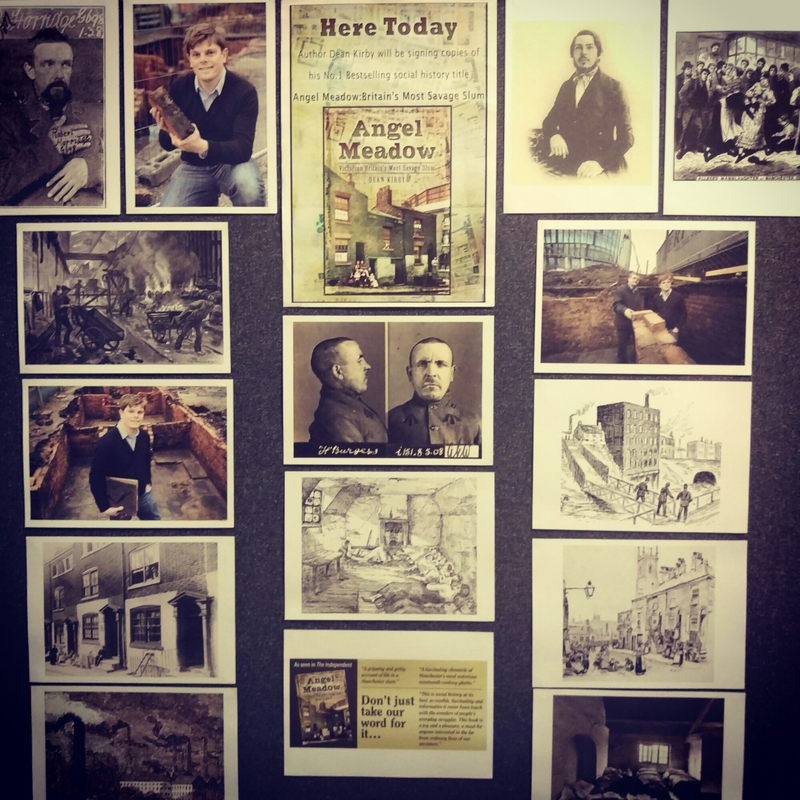 Had a great time last Saturday talking to people about Angel Meadow and running a bookstall at Manchester Town Hall for the Manchester Histories Festival celebration day. 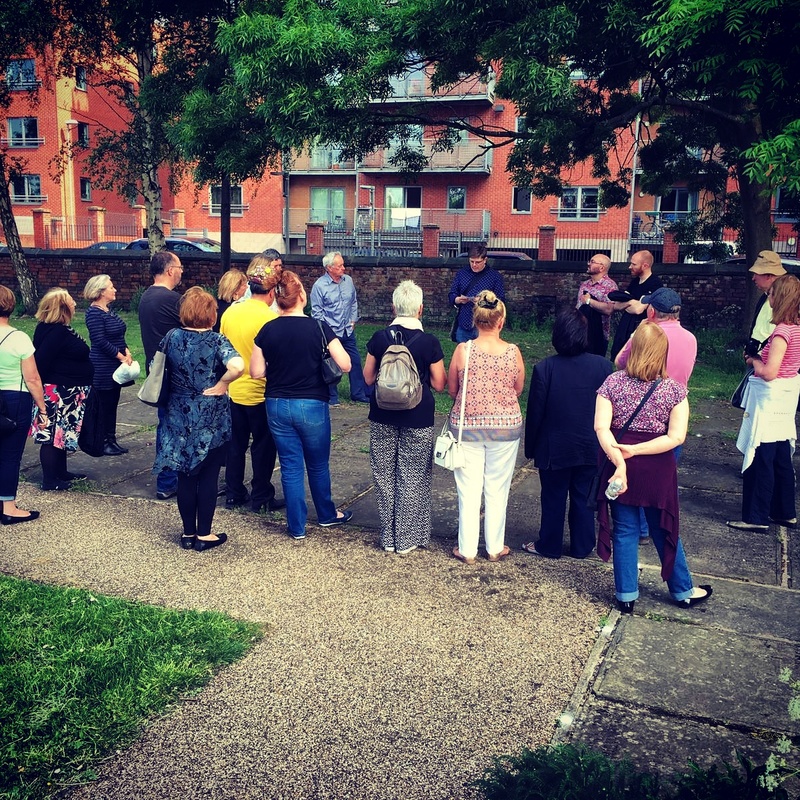 Met so many people who had ancestors who lived in Angel Meadow. 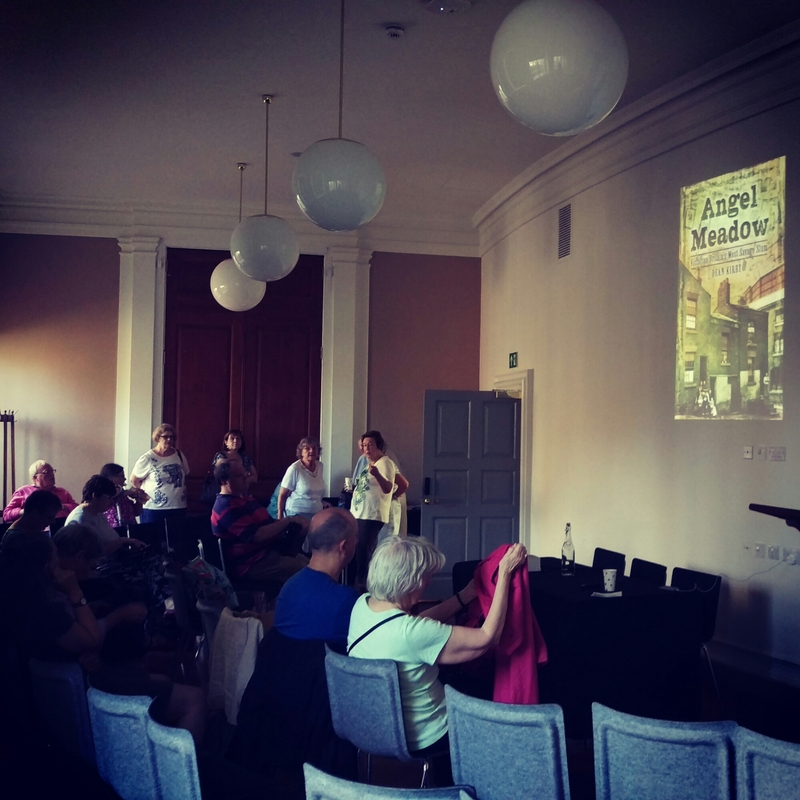 On Monday night, I also did a reading and talk for a packed crowd at The Portico Library on Mosley Street and, on Wednesday, I was live on the Out and About Manchester show on All FM 96.9. Here are a few pictures from my week. My next event will be a talk at the Manchester and Lancashire Family History Society AGM on 20 July. Tickets are free for members and are available by clicking here. 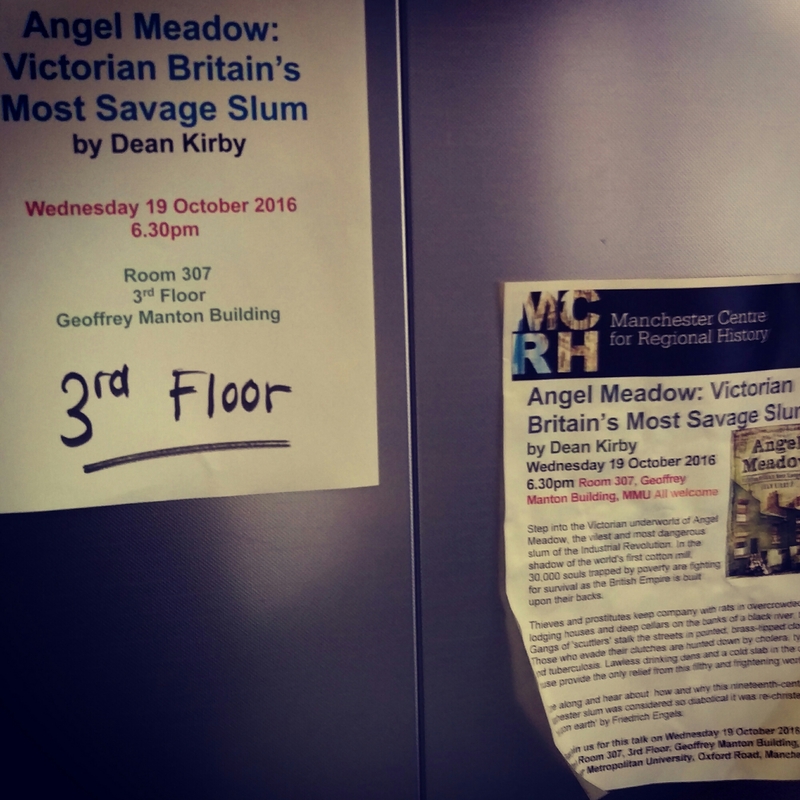 I’m looking forward to giving a talk and holding an Angel Meadow bookstall at Manchester Town Hall this Saturday as part of Manchester Histories Festival. 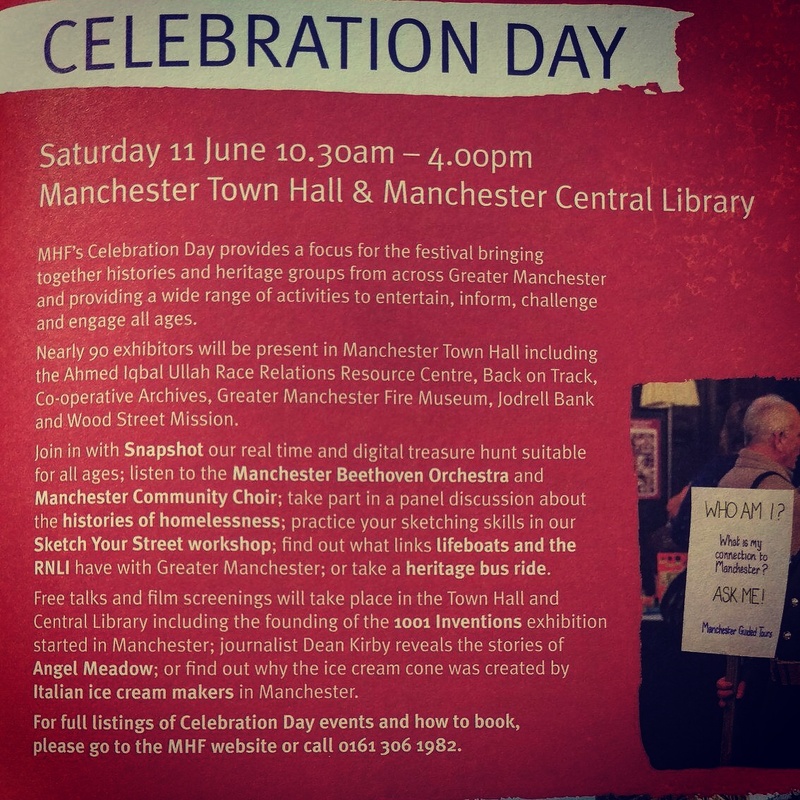 I’ll be among nearly 90 exhibitors promoting the history and heritage of Greater Manchester as part of the festival’s celebration day. The talk starts at 11am. It’s free, but tickets are limited and you have to book one in advance. Click here to book tickets. 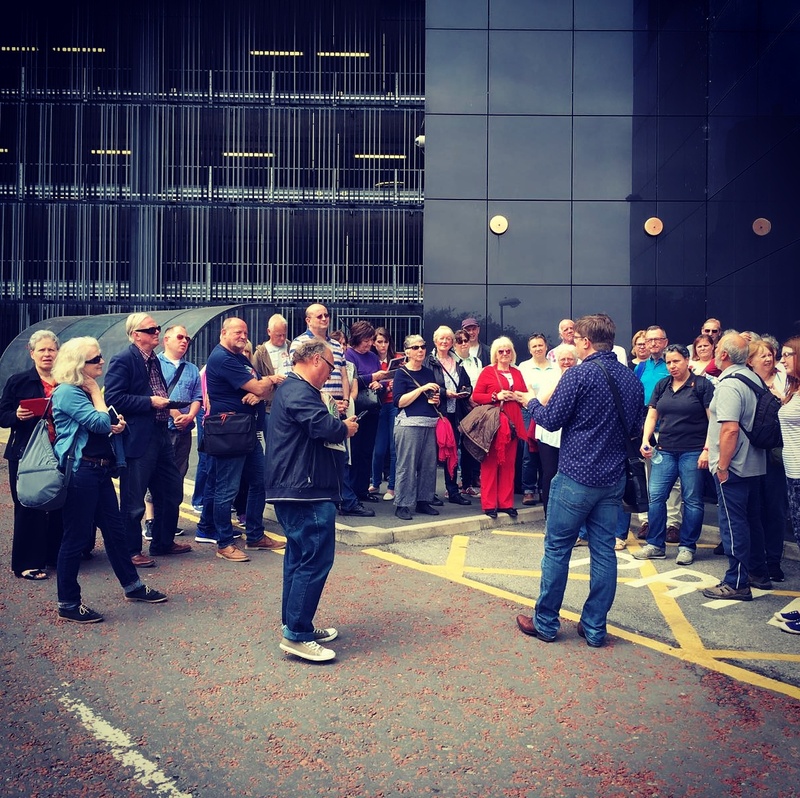 Very proud today after leading two tour groups around Angel Meadow with fantastic tour guide Emma Fox as part of the Angel Meadow Community History Day during Manchester Histories Festival. Really enjoyed bringing the book to life and sharing stories about some of the slum’s characters. Big thanks to Emma and everyone who came along on the tours.